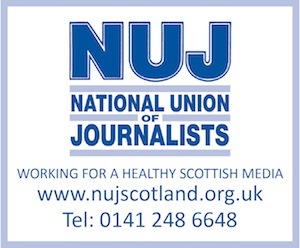 A BRANCH of the National Union of Journalists sprang a bit of a surprise on a long-serving former chair, by conferring, at the end of last week, a Life Membership of the union on him. But the real surprise were the faces from Ian Kyle’s past and present who turned up for the occasion, hosted by the NUJ Forth Valley branch, having managed to keep their planned attendance secret for a couple of months. Ian started in journalism in Dunfermline, before joining the Falkirk Herald and serving on a number of papers owned by Falkirk Herald owners, Johnston Press. He was then the Edinburgh Evening News ‘staff man’ in Falkirk and Bathgate.